When you ask Paul Flick where he is from, he laughs and says it’s “a difficult question.” A preacher’s son and one of four kids, Flick’s family moved every five years or so as his father developed new churches across the eastern United States. His father’s work took him from western Maryland, to western North Carolina and eastern Tennessee. But despite his family’s frequent moves, Flick admits that North Carolina has always been home. His family has deep roots in Hickory and he chose North Carolina for college, and as Flick admits, “I was an ACC fan so that didn’t hurt.” It was unsurprising, then, when he landed in the Tar Heel State to launch a successful legal career. He has litigated and mediated business cases for more than 30 years, with no plans of slowing down. “I’ve worked since I was probably in the 7th grade,” Flick says. There wasn’t a single job he wouldn’t try. He mowed lawns, built swimming pools, worked in a lumber yard, ran a table saw in a furniture frame shop, refereed basketball games, waited tables, tended bar, worked in a hotel, and was even an assistant manager at an ice cream shop called Friendly’s. “I had a broad range of experience coming to law school and the practice of law, to have actually been in and out of a lot of different places,” he says. It was this knowledge base that largely drew Flick to the legal profession. “I was an advocate as a young man,” he says. “My mom might call it something else! I would always argue my case and so there were a lot of people who pushed me in that direction.” A proud “Double-Deacon,” Flick enjoyed seven years at Wake Forest – first for his undergraduate degree and then for law school. Flick accepted a summer clerkship with the Raleigh firm Jordan Price, where he was mentored by accomplished lobbyist and founding partner John Jordan. He enjoyed it so much that he accepted an offer to work there after graduation – and stayed there for 30 years. “I continue to have great respect for that firm and I’m sure we will continue our personal and professional relationships going forward,” Flick says. Although Flick started his career as a lobbyist, he quickly discovered that litigation fit his skill set far better. It was the control he felt in litigation, being able to “play by the rules and have an idea of what the outcome would be” that attracted him to it. Flick has leveraged his more than 30 years of legal practice to help his clients resolve their disputes, whether through traditional litigation avenues or alternative routes. For years, he has maintained an active and thriving mediation practice. 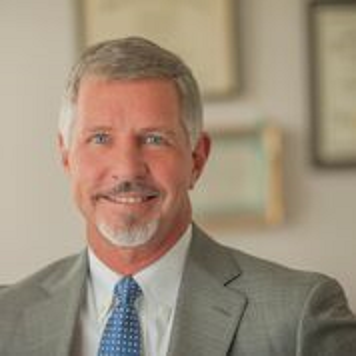 He has served as a mediator in superior court cases and is a proponent of pre-litigation mediation, helping parties resolve their disputes before turning to the adversarial process. “I think our profession has gotten too adversarial,” he says of his motivation for starting his mediation practice. “I don’t know if I can put my finger on why that is.” Whether through formal mediations or pre-suit negotiations, Flick cites the amicable, collaborative process of dispute resolution as the most rewarding part of practicing law. In May, Flick left Jordan Price to join Jason Miller, Jeff Monroe, and William Plyler – partners whose experience spans commercial litigation, fiduciary litigation, and high-profile personal injury and wrongful death cases. What started as a post-mediation conversation over barbecue sandwiches eventually morphed into an exciting partnership: one that will allow Flick to grow his dispute resolution brand while still litigating commercial cases. Flick, Miller, and Monroe have enjoyed a collaborative relationship for the past eight years. Flick mediated cases for Miller and Monroe, and they frequently referred business to one another. “We can trust the way we handle our clients and practice law,” he says. “Each of these lawyers has broad experience and we can talk through cases together.” Flick notes the size of the firm excites him because it allows for a more unique client experience. “It gives us the ability to handle things the way we want to,” something that he says allows for a more client-driven and practical approach. Click here to learn more about Paul Flick. Miller Monroe & Plyler is a boutique litigation firm located in Raleigh, North Carolina. We represent a wide range of clients – from public companies to local businesses and individuals – in a variety of civil disputes. Our commercial litigation team has the right combination of business and legal experience to guide you through a complex and an often daunting litigation process. We work creatively to find solutions to complicated legal challenges, and when it matters most, we are willing to dig in and fight for our clients. Our attorneys have experience representing clients in the construction, financial services, information technology, health care, manufacturing, education, and real estate industries. Because we have experience navigating complex business issues, marketing strategies, and management challenges, the attorneys at Miller Monroe & Plyler can offer legal advice in the context of your business’ particular needs. Our personal injury and products liability litigators have extensive in-court litigation experience and will not shy away from a fight. When you or someone you love is permanently or seriously injured, it is critical to hire an experienced attorney who can guide you through the claims process and file a lawsuit if necessary. Having a knowledgeable, aggressive advocate in your corner can make all the difference in a case. High quality representation. Competitive fees. Unwavering honesty with our clients, the court, and our opposition. Community engagement. Attorney accessibility. These are the core tenets of Miller Monroe & Plyler. Contact us for a consultation, or click here to learn more about our firm.